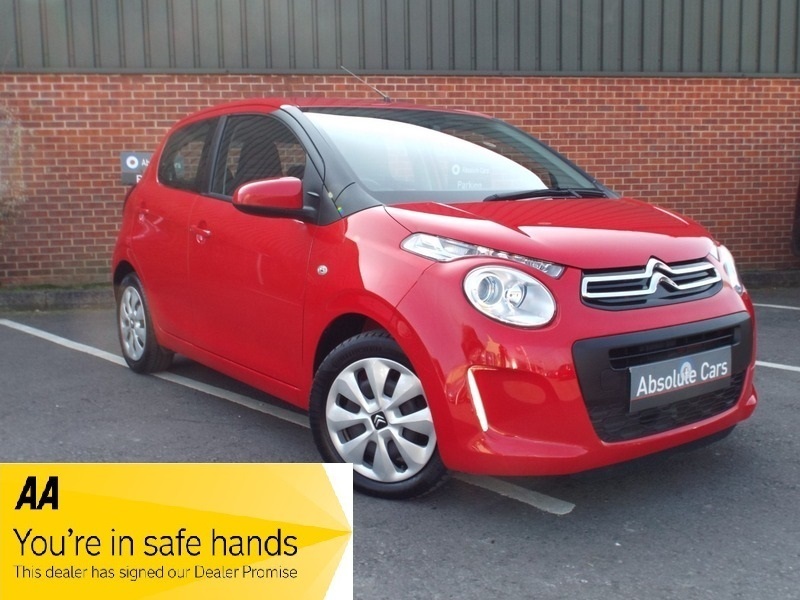 ABSOLUTE CARS have this lovely 1.2 Citroen C1 in solid red with only 26548 miles from new & £0.00 Tax !! An ideal first car. Call in for a test drive, finance arranged & part exchange considered., 3 months warranty, Next MOT due 03/03/2020, Last serviced on 25/06/2018 at 20204 miles, Black Cloth interior, 4 seats, Red, 1 owner, 12 Volt Socket, 15in Comet Wheel Covers, 4 Speakers, 7in Touch Drive Interface, ABS with Emergency Braking Assistance, Air Conditioning, Bluetooth Handsfree, Cup Holders, DAB Digital Radio, Deadlocks, Drivers Airbag, Drivers and Passengers Sunvisor with Courtesy Mirror, Electronic Brakeforce Distribution, Electronic Stability Control, Cornering Stability Control, Folding Rear Bench Seat, Front Electric Windows, Front Lateral and Curtain Airbags, Front Passengers Airbag with Cut-Off Device, Front Seat Belt Pre-Tensioners with Force-Limiters, Front and Rear Head Restraints, Height Adjustable Drivers Seat, Height-Adjustable Steering Wheel, Hill Start Assist, LED Daytime Running Lights (DRLs), Puncture Repair Kit, RDS Radio/MP3 Audio System, Rear 50/50 Split/Folding Seats, Rear ISOFIX Mounting Points, Rear Spoiler, Remote Central Locking, Speed Limiter, Steering Mounted Controls, Third Brake Light, Transponder Immobiliser, Trip Computer, Tyre Pressure Monitor, USB Socket, Upholstery - Sunrise Red Zebra Cloth, Variable Power Assisted Steering, AS WE ARE AN AA CARS DEALER THIS VEHICLE COMES WITH 12 MONTHS AA BREAKDOWN COVER.